Please use this form to renew your USAV club for the 2019 season. All clubs are required to renew each USAV season. Please have all items required at the time of renewing. 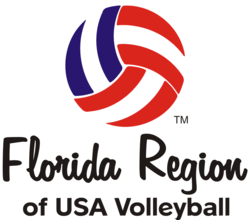 Contact Michele Moriarty, Florida Region of USAV Registrar at michele@floridavolleyball.org if you have any questions regarding renewal. The New Club Director Meeting is REQUIRED for 1 Director of each new club. If your club was new in the 2017-2018 season and you did not attend the meeting in November of 2017, attendance at the 2018 New Club Director Meeting is required. If you are a new club for the 2018-2019 season, your attendance is also required. Any new club director(s) of any club, no matter how many years the club has been active, must attend the NEW CLUB DIRECTOR MEETING. Note: Clubs/club directors that are required to attend and do not will incur a $500 fine and will not be recognized as a USAV club in good standing until the fine has been paid. This is a standing mandate from the Florida Region Board of Directors. Once you submit your club application form, you will receive a confirmation email with link to register for the NEW CLUB DIRECTOR MEETING. The meeting will be held on Friday January 18, 2019 at the Florida Region office in Eustis, Florida. Meeting will start at 9:30 am. As a reminder: The Player Commitment Form will be available September 1st. This is the only form that will be legally binding with the Florida Region to hold a player at your club for the remainder of the season. Only current year player commitment forms, issued by the Florida Region, will be considered valid. Prior year forms will be invalid.